George Osborne's big pay rise starts today, but opinions are divided over its pros and cons. More than a million workers have got a pay rise today – and no, that’s not a particularly cruel April Fools’ joke. As you’ve probably heard, today’s the day the National Living Wage makes its highly anticipated appearance. The £6.70 minimum wage has now risen to £7.20 for those over 25 and that's set to rise to £9 within four years. But nobody can agree whether that’s actually going to help low-paid workers and the wider economy or not. It could help tackle Britain’s long-running productivity problem by reducing staff turnover and encouraging companies to invest more in training. Higher wages will have a particularly dramatic impact on those industries that have long relied on cheap labour – notably hospitality and retail. The Resolution Foundation found that over three-quarters of employers in these industries said their wage bill would be affected. The Low Pay Commission has warned that retailers will take the biggest financial hit. The change will affect more than 300,000 workers in the sector and retailers have said this means they’ll need to find £3bn more per year to pay staff by 2020. And that's without considering the range of 'spillover' costs employers may face. Figures from the government's regulatory watchdog suggest that the new rate could have a big knock-on effect, forcing companies to increase other workers' wages in order to maintain distinct pay bands. The Regulatory Policy Committee says these could total £234.3m in the first year alone. 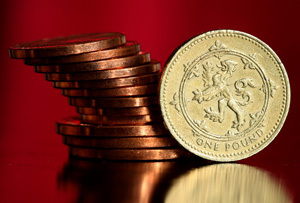 Totting up the potential hidden costs over five years could reach the £1bn mark. A particular concern is how businesses will make up this cost. Next has said it will have to up prices in order to cover the predicted £27m cost it’ll have to foot for implementing the pay rise. But it's also likely to leave some people out of work - the OBR has estimated there could be around 60,000 job losses by 2020. Similarly, employers’ efforts to keep the wage bill down could mean hours and overtime are cut. In which case many of these employees won’t actually see much of a change at all to their weekly income. So worries abound despite the headline good news. The jury's out on whether Britain's living wage experiment will pay off.